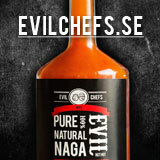 The Swedish Dorset Naga Challenge 2015 » Chili – Hobbyodling av chilipeppar! ← Autumn in the greenhouse. time to harvest the last fruits! 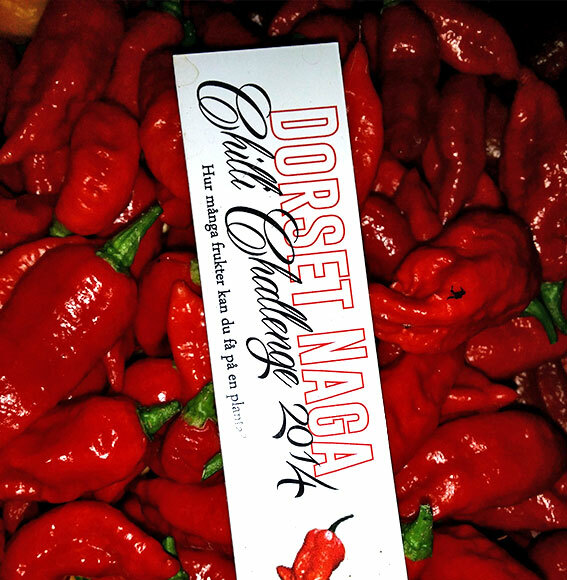 110 contestant notified to ” The Swedish Dorset Naga Challenge 2015″ that is to get as many red fruits as possible on a Dorset Naga chiliplanta. This year there will be 4 different classes to compete in. 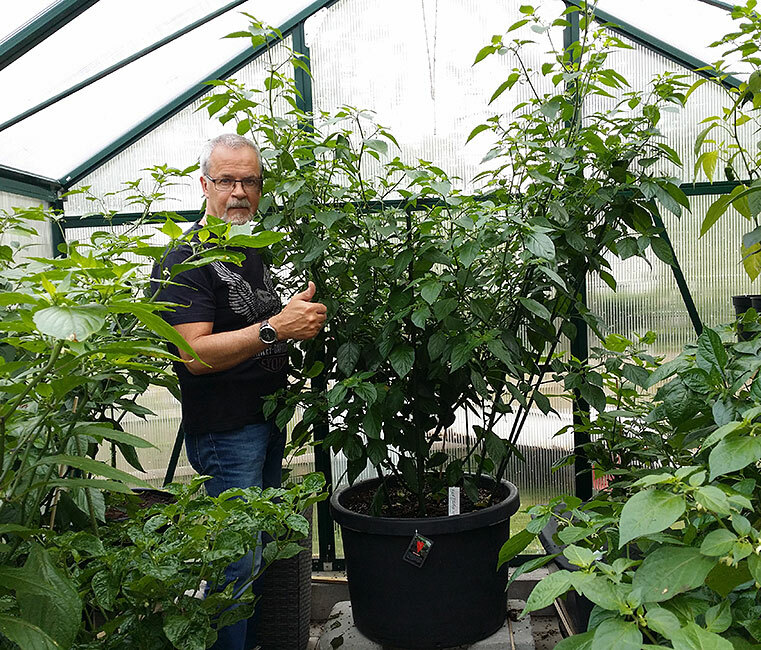 Competition classes differ by limited pot size. All of that even those who do not want or can accommodate huge pots to be with. The deadline to enter is the 1 November 2014. This for me to keep up with to order seed and shoot up the right number of tävlingsfolder, plant labels and decals. Great prizes for the winner in each class from well-known suppliers of plant growing equipment. 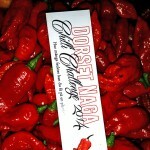 The contest is to get as many red fruits as possible on a Dorset Naga plant. The contest starts on 5 December 2014 and will end on 15 October 2015. 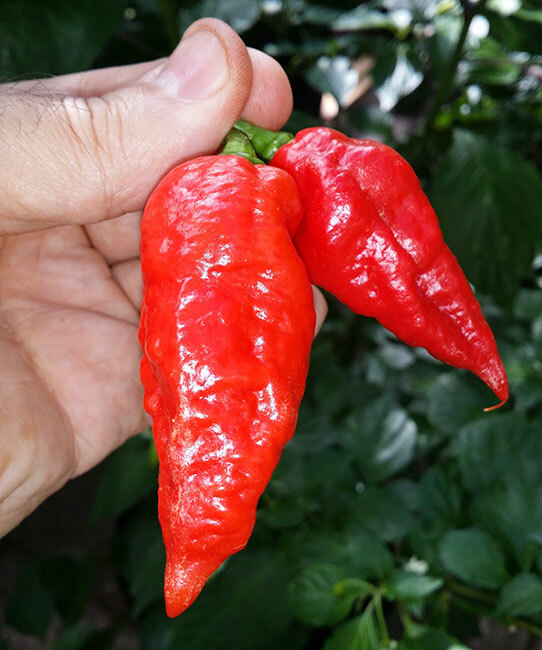 It included 20 St. Dorest Naga seed in original bag from Sea Spring Seeds in England. for those who ordered a black with the competition logo on front. but no later than the 1 may record what classes you intend to compete in. Class 1. Growing pot up to 6 liters..
Class 2. 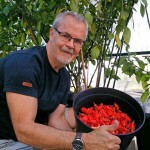 Growing pot larger than 6 litres and up to 12 liters..
Class 3. 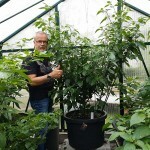 Growing pot larger than 12 litres and up to 25 liters..
Class 4. 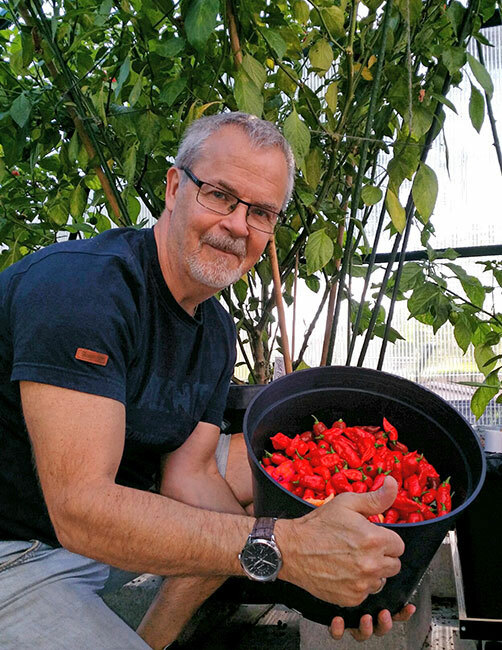 Growing pot larger than 25 litre or planting directly in jordbädd. PS. It is no longer possible to sign up for the contest. Hi, is a bit curious as to what kind of rules. 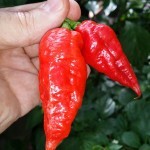 The plant must be grown in soil or, for example,. coconut allowed also? When the seeds are sent out? They sent out this week. If you have not already received them, the latest on Friday 5:december when the contest starts.